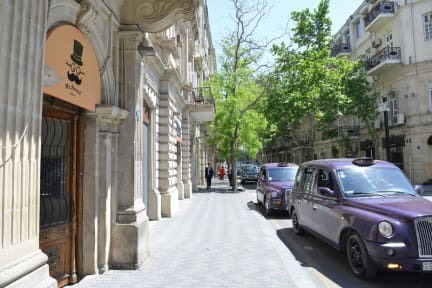 Mr.Hostel Baku kohteessa Baku, Azerbaidžan: Varaa nyt! Free wi-fi, balcony view to the city, two different living room and large workplace at guests disposal. The 24 hours supermarket, a lot of bar and coffee shops like McDonalds, Hard rock Cafe and Starbucks are just 2-minute walk away.